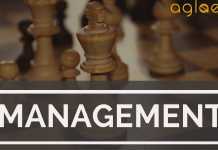 IIM Kashipur FPM / EFPM Admission 2019 – IIM Kashipur’s has released notification for eligible candidates for admission into Fellow Programme in Management (FPM) for the academic year 2019-2020. This year Exams for EFPM is not going to be held, as per the official announcement of the institute. 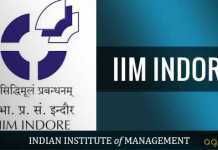 The Indian Institute of Management Kashipur is a new entrant in the elite league of IIMs. The institute is set up with the objective of providing quality management education while sensitizing students towards the needs of the society. The Institute is located in one of the most densely industrialized regions in the country with over 180 industries having plants in and around the region. All the details of IIM Kashipur FPM / EFPM Admission 2019 are given below. Latest: E the result for IIT Kashipur has been released. Scroll down to check the same. For the academic year 2019-20, no vacancies are available for admission into EFPM, the office will notify for next year admission in the due course. Fellow Programme in Management (FPM) and Executive Fellow Programme (EFPM) are the two doctoral programmes launched in 2015 and 2014 respectively. FPM is a full time residential doctoral programme and EFPM is a non-residential doctoral Programme. The Schedule for FPM is provided below. The result for the exam IIM Kashipur 2019 has been declared online on the official website of the university. Now the applicants are eligible to check it . The selection of the candidates will be made on the basis of their performance in the entrance test. The applicants who clear the exam will be called for the next round that is counselling . All the eligible students have to be present at the allotted date for the process of counselling at the given place with all the required documents. Click here to Check the result for IIM Kashipur 2019. Candidates seeking admission to the programme are required to submit an online application at doctoraladmission.iimkashipur.ac.in .The printed copy of filled application form along with necessary documents should reach the Admission Office, IIM Kashipur, Bazpur Road, Kashipur, Udham Singh Nagar, Uttarakhand -244713 through Speed/Registered Post only. Apply Online: Click Here to apply for IIM Kashipur FPM Admission 2019. Bank Address: IIM Kashipur, Bazpur Road, Kashipur. Applicants are required to apply through Online mode only. Use Mozilla Firefox, Google Chrome or Opera browser for the applying online. Last Date for submitting online application on the website is 18th Feb 2019, 17:59 hours. On successful submission of form, applicants are advised to send the printed copy of filled application form along with necessary documents (Copy of mark sheet of qualifying degree, qualifying scorecard, demand draft/RTGS transaction slip)to the Admission Office, IIM Kashipur, Kundeswari, Kashipur, Udham Singh Nagar , Uttarakhand -244713 through Speed/Registered Post only on or before 22nd February 2019. Avoid using the single/double quote and commas in the form. A complete and accurate response to the items is, extremely important. Any mistake committed by the candidate shall be his/her sole responsibility. Applicants should upload the scanned (digital) image of their photograph as per the guidelines. They should note that only jpg format is acceptable, size of the photograph should not be greater than 50 Kb, the dimension of image: width = 75 px and height = 75 px. Form once submitted cannot be edited, candidates must fill carefully. A master’s degree in any discipline with at least 60% marks or equivalent grade point average. A professional qualification – CA/ICWA/CS with graduation degree. 4 years /8-semester bachelor’s degree (B.E./B. Tech./B. Arch. etc.) with at least 6.5 CGPA or equivalent percentage. The entire selection process focuses on comprehending an applicant’s motivation and research capability. Interviews of shortlisted applicants allow the Institute to determine the candidates’ motivation for research. Candidates need to submit the relevant test scores along with application form. Only shortlisted applicants will be called for personal interview. The subsequent personal interview determines the academic preparation of the candidate for the specific area he/she has applied. An applicant can apply at most to two different areas of specialization. Candidates are expected to submit their thesis in around four and a half years’ period from the date of initial registration. The maximum time allowed for completion of successful FPM thesis defense is six years from the date of initial registration. Year 1: Rs 25,000 p.m.
Year 2: Rs 27,500 p.m.
Year 3: Rs 30,000 p.m.
Year 4: Rs 33,000 p.m. Contingency grant : Rs 25,000 p.a. Financial support is also provided for international and national conferences (as per FPM Policy). Each candidate is provided free residential accommodation in the hostel. The hostel mess run by the student body; for which the FPM scholars will have to contribute on pro-rata basis. For married participants additional amount of Rs. 5000/m will be reimbursed on production of rent receipt. For more information, IIM Kashipur FPM Admission 2019, click here.